Opposition to ‘free trade’ is in the air again, though not in the way most of us expected or hoped. 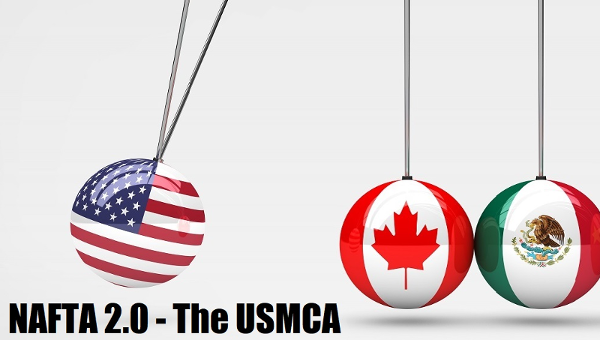 Three decades ago, the move to guarantee, extend and deepen Canada’s economic integration with the United States by way of the bilateral Free Trade Agreement (FTA) between the two states mobilized an impressive though ultimately unsuccessful opposition. 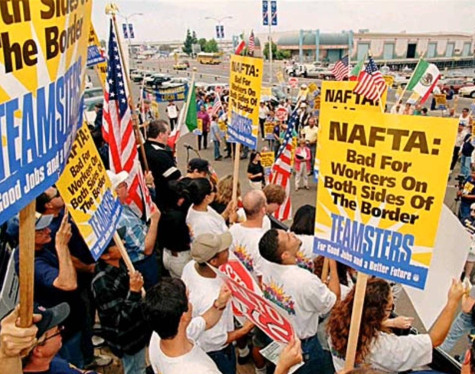 This opposition continued, though with less intensity, when that agreement was later extended to include Mexico via the North American Free Trade Agreement (NAFTA). Since then, however, with so many other free trade agreements (taking these first ones as their foundational model) deployed as key political levers in fostering neoliberal globalization, NAFTA came to be widely perceived by labour and the left in Canada as just another part of an unfriendly landscape, as one imposition among so many others passively accepted by a dispirited populace. And even when Canadians managed to raise their spirits in the course of finally banishing Harper’s somber moods in favour of Trudeau’s sunny ways, they soon found that the new government was even more intent on quickly seeing through the vast expansion of ‘free trade’ through the trans-Atlantic Comprehensive Economic and Trade Agreement (CETA) as well as reinforcing Harper’s support for the Trans-Pacific Partnership Agreement (TPP) and a host of bilateral trade agreements being pursued in Asia in particular. More generally, and especially in the context of the growing unpopularity of neoliberalism and austerity, these types of agreements have been accompanied by a restructuring of states which, to the end of protecting corporate rights, shifts state power toward agencies like central banks and ministries of finance that are responsible for the globalization of capital and not coincidentally well-insulated from democratic pressures. Frequently sold under the banners of “regulatory independence” and “good governance,” it is this which allows for crucial commitments to restrict social and economic policies to be made by trade representatives at the international level. In this context, such environmental or labour ‘safeguards’ that were added by them as ‘side agreements’ did very little to slow down a process that was inherently socially regressive. Then the unforeseen happened. Britain voted to leave the European Union (Brexit) and Donald Trump, adopting a xenophobic ‘America First’ platform, stunningly became president of the world’s foremost economic and military power. In this new international conjuncture, the Canadian government’s orientation to expanding ‘free trade’ became problematic. Suddenly the cons as well as the pros of free trade were being widely debated again. The difference between the earlier opposition to free trade and its current expressions couldn’t be greater. Prior opposition was led by the left, with such political reverberations in Canada that the Liberals stood against the FTA in the 1988 election. Today – while the frustrations with free trade are still expressed in the streets in the inchoate mass protests that have stretched from Seattle, Quebec City, and Genoa at the turn of the century to the G20 meetings in Toronto in 2012 and in Hamburg this summer – the political opposition to free trade in the electoral arena has been usurped by the far right. One result has been confusion and division among progressives. Many are today wary of outright criticism of free trade, fearing this will aid and abet nationalist and xenophobic reaction. This has led to muted opposition to freer trade or to qualified support, the caveat being the extending of the safeguards previously tacked on to protect labour rights, the environment, democratic sovereignty, and jobs in particular sectors (as in Canada from the auto industry in Ontario to the lumber industry in British Columbia). The political dangers that come with this right wing nationalist reaction, above all in the grave consequences that can follow scape-goating immigrants and foreign workers, are indeed severe. And it is crucial to recognize the broader negative impacts on workers and public services that would come from the kinds of modifications in trade agreements that would symbolically salvage a few plants while promoting even greater deregulation of both foreign and domestic capitalists. But it is important that such concerns not lead to support for an allegedly ‘kinder’ version of free trade amidst neoliberal globalization. This would in fact only further the continuation of the now two-generation-long defeat of labour and the left. It’s been that orientation on the part of liberal and social democratic forces over the past quarter century, reflecting a depressing combination of political naivety and strategic timidity, that in fact opened the way for the Farages, Le Pens, and Trumps to deploy xenophobic appeals to express popular anxieties. For many on the left, this moment is to be understood as reflecting some kind of fundamental crisis in neoliberal capitalism. They view the anti-free trade rhetoric – especially that coming from the new American president and his extreme advisors – as reflecting the economic decline of the U.S. empire, the retreat of its state from global economic responsibilities, and the possible collapse of globalization itself. Yet the underlying dynamics of internationally integrated finance, production, and multinational corporate trade in fact still continue, with working classes everywhere showing all too little capacity to undermine their operation. China may more confidently assert its growing weight within the global order, but it clearly has little capacity, especially with its own internal contradictions to deal with, to assume the U.S. role and responsibilities for overseeing global capitalism. 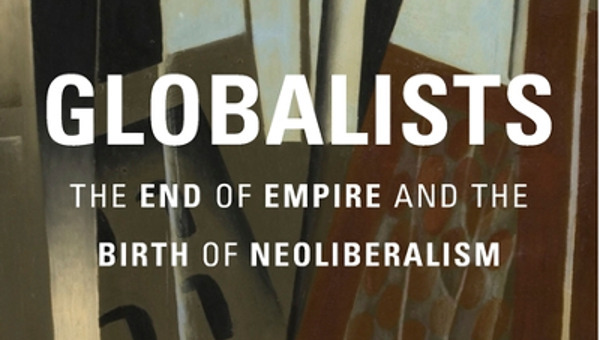 Globalization may briefly slow down and suffer a loss of legitimacy, but it is the historical form that capitalism now embodies and will remain the only game in town absent widespread political challenges to capitalism itself. It is worthwhile in this regard to more precisely contrast the orientation of the Trump administration with its predecessors. In the post-war making of global capitalism, the American state found it necessary to make concessions to other states. Sometimes, as with South Korea and Japan, this was for geopolitical reasons and took the form of allowing them access to the crucial American market without a matching opening of their own markets. More common was the use of American concessions to induce states to liberalize their economies to international penetration. Those trade-offs negatively affected some American firms and sectors – and especially their workers and the cities and towns where they were located. This led to some protectionist lobbying (protectionist sentiments are, after all, hardly anything new in the U.S.), in order to maintain its universalist thrust toward a liberalized international order, the American state acted to limit their impact. 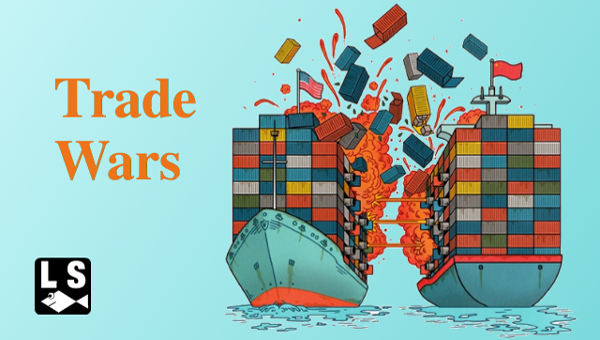 It won the right to fast-track trade agreements, with Congress having to accept or reject them through a simple up or down vote in a relatively short time horizon, thus avoiding amendments for particular exceptions that disturbed their essential purpose. It established institutional channels for arbitrating grievances whereby workers and firms had to prove that any harm they suffered was the direct result of free trade, channeling frustrations into securing, at best, some financial compensation or temporary import reprieve. And all the while, it used the domestic pressures for protectionism as a lever to get other states to further open their markets, thereby strengthening rather than weakening the neoliberalization of global capitalism. What distinguishes the Trump administration in this regard is that rather than circumventing particularistic protectionist claims articulated in Congress, it is itself making such claims on behalf of certain American workers and industries. Its expressed determination is to claw back concessions previous administrations made in order to draw other countries into the American-led global neoliberal order, and to make others bear the burden of the contradictions which that order has systematically generated. While NAFTA led to a massive flood of subsidized U.S. agribusiness corn exports that drove the Mexican peasantry off the land, this also had the effect of both providing a cheap labour force for the subsidiaries of U.S. manufacturing moving to Mexico and impelling the flow of Mexican migrants to become cheap labour in the USA. That they became the targets of Trumps xenophobic appeal to workers which U.S. manufacturing firms had abandoned in the industrial ‘rust belt’ was only the most glaring example of how the contradictions of NAFTA have now come to play into the hands of a capitalist scoundrel like Trump. But a further consequence of this may be that it undermines the legitimacy of free trade within other states. In the case of the Canadian state, for example, an especially important selling point in selling free trade agreements was the argument that they would protect Canadian capital from the politicization and arbitrariness of American trade decisions. This was never all that convincing to Canadians; Trump’s call for renegotiating NAFTA to assert ‘America First’ seems to confirm that earlier skepticism. It is not completely certain what Trump and his closest advisors fully intend with their planned redoing of NAFTA and the attendant rejection of other multilateral free trade agreements. But we can be sure that rather than any attempted unravelling of globalization and the leading role of the U.S. in it, it will involve a mix of further advantages for American investors in different sectors, such as the internet and e-commerce, extending intellectual and property rights, and challenging existing regulatory limits to corporate penetration, along with efforts to further strengthen the reach of the Chapter 11 ISDS tribunals. What is also clear is that, even while the Trump administration demagogically promises to bring work to certain pockets of U.S. workers, it has no intention of cutting off U.S. capital from global or regional value chains. Rather, it seeks to strengthen the reach and power of U.S. capital globally. The central contradiction here is that the reconfiguration of the institutions of the American state under Trump, not to mention its international posture, may render it incapable of playing the central role it has heretofore played in containing the tendencies to economic as well as ecological crises which the system of global capitalism continually spawns. The fundamental task of the left is to reframe the debate, all the while engaging in ongoing collective efforts to challenge the expansion of ‘free trade’ and the structures that underpin it. This means going beyond our past opposition to free trade agreements. The problem during the years of the “anti-globalization” movement, and the lesson we must confront now, is that simply blocking another such agreement – as important as that is – doesn’t address the underlying trajectory of global capitalism’s determined expansion and penetration into all aspects of our lives. However, any discussion of the costs of leaving NAFTA requires consideration of much more than the level of overall tariff costs. The real problem is the private profit-based restructuring of workplaces and communities by both international and domestic corporations and financiers. The kind of international competition this is specifically designed to foster among workers weakens solidarity at home and abroad while undermining the very meaning of popular democracy and curtailing struggles for economic democracy. It would, in this respect, be an error to underestimate the challenge that curtailing the ever deeper degree of Canadian inter-dependence with U.S. capitalism presents, or the protections that internationalizing Canadian capital also seeks from FTAs and ISDS processes. Certain strategic conclusions follow from this. First, we need to shift the Canadian economy in a more inward-oriented direction. This doesn’t mean rejecting any involvement in trade, but it does mean diminishing the chase for export of capital and goods and finding local and national mechanisms that block the internationalization of capital and contain global value chains. This especially applies to moving away from the extreme integration of the Canadian economy with that of the U.S., and it equally applies to its corporations and financial institutions as well as to those of the Canadian federal and provincial states. Second, any such reorientation must address struggles over the state. Protests and advocacy can only get us so far. However militant, they have failed to reorient states away from neoliberal policies or even to check the power of corporations within the existing neoliberal frameworks. The shift from protest to politics we have seen on the left with the rise of new parties like Syriza and Podemos and the insurgencies in old ones like those led by Jeremy Corbyn and Bernie Sanders reflects a growing recognition that to protect both workers and the environment requires engaging in such effective electoral channels as are still available at the national level of the nation state since there is no possibility of democratic control at the international level, nor of effective resistance to market pressures locally. The necessary break with existing international trade agreements can only occur with a rupture in the neoliberal state – its political alignments, policies, personnel, and institutions. Third, we must move toward democratic planning. This must be a two-tracked strategy. It means building workers’ struggles in workplaces and in communities for control over investments in infrastructures and plants and the flows of surplus capital and profits. And it means, if these struggles are at all to be successful, directly struggling over – and entering – the state with an orientation to transforming its institutions and building the capacities to allow for the democratic transformation of the economy, with all this necessarily means in terms of transforming social relations. Only the democratic planning of what is invested, where it is invested, and how it is invested will allow for an escape from the unceasing narrowing of democracy to serving ‘competitiveness’ and the scourges of constant job insecurity, obscene growth in inequality, and aggravation of the environmental crisis that comes with it. The focal points of democratic planning would be stable and better jobs, steadily improving social services, redistribution of income and wealth, and an ecological transformation to responsible and sustainable production for use not exchange. These are all interrelated. Only planning can possibly deal with the ever greater threats to the environment, since countering this requires a fundamental reorientation of the economy that must include the planned conversion of workplaces, homes, and infrastructure. This, in turn, requires a ‘jobs agenda’ addressed to doing useful and rewarding work for adequate pay, in addition to social programs to fairly address the educational, occupational, and geographic transitions involved in this. But for all this to be possible such planning must be based on democratic public control over the investment of capital, both international and domestic – which is precisely what multilateral and bilateral capitalist trade agreements are above all designed to prevent. This emphasis on democratic planning at the level of nation state, envisioning a more inward-oriented, ecologically-balanced and socially-solidaristic economy, may strike some as uncomfortably ‘nationalistic’. We certainly cannot be oblivious to the need for international cooperation among states to make capital controls and the democratic decisions over investment effective. But to imagine getting to some abstract internationalism without prior change at the national level is delusional. It is only as each society develops this kind of democratic planning foundation that a new internationalism becomes feasible. Transforming the state at the national level remains the essential base for rejecting the dog-eat-dog world of global capitalism and developing the kind of internationalism that allows for a planned complementarity of trade between economies, and the solidaristic sharing of skills, resources, and technologies. None of this denies the importance of joining with other progressive movements and allies in Canada, as well as the U.S. and Mexico, to call for an end to NAFTA and working to undo CETA as well as the TPP that the Trudeau government has championed as part of Canada’s unqualified support for ‘free trade’. This will require joint campaigns, in Canada and across all three countries, for abrogation of the Chapter 11 investor protections (and FIPAs more generally) in order to expand popular sovereignty in controlling the socially and ecologically destructive actions of international capital. Similar national and international campaigns need to be taken up in other areas as well, such as the protection of freshwater from bulk water exports, privatization, fracking and effluent discharges. It also requires challenging the Trudeau government’s groveling to accommodate the demands of the Trump administration for military spending increases and NATO interventions in order to assuage the U.S. president on the trade front. 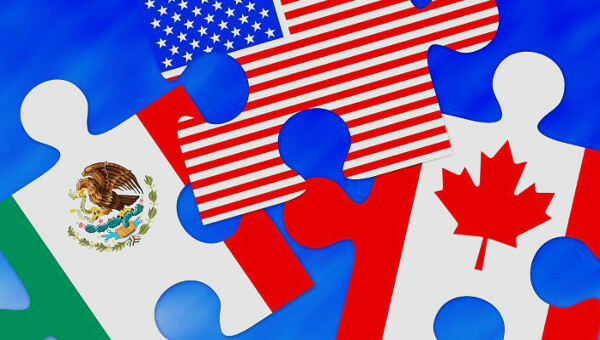 Any break from NAFTA that Mexico proposes, which will be led by the Mexican left, must be met with solidarity from Canadian workers and movements against the opposition and sabotage that would inevitably come from both American and Canadian capital. The Socialist Project is a democratic, eco-socialist organization working to rebuild the left in Toronto.